Digital manufacturing is gaining steam as a computational tool to design manufacturing products. 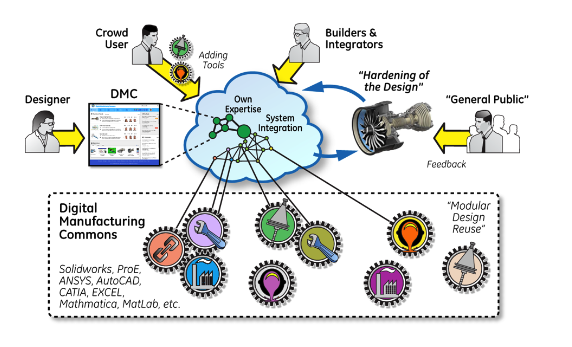 The Digital Manufacturing and Design Innovation Institute (DMDII), located in Chicago, maintains, develops, and distributes digital manufacturing tools and software to small manufacturing enterprises, large corporate partners, and academic institutions on the Digital Manufacturing Commons (DMC) platform. With these digital tools and software, manufactured products can be more quickly and efficiently designed, manufactured, and distributed. Fig. 1: Schematic of the structure of the DMC. From April 2016 – April 2017, the AMPL group collaborated with the Digital Manufacturing and Design Innovation Institute (DMDII) as well as industrial and academic partners to develop educational materials for undergraduate students. The goal was to highlight several key software tools available on the DMC, demonstrate how they relate to the mechanical engineering curriculum, and show how they might be used inside and outside of the classroom. The educational material focused on the Instant Foundry, Adaptive through Bits (iFAB) suite, which contains modules for cost analysis, manufacturability analysis, and assembly planning. After obtaining software from academic partners through the DMDII, the AMPL team developed a short course with three components focusing on the three modules of iFAB: cost analysis, manufacturability analysis, and assembly planning. Several installation, demonstration, and tutorial videos were also made to quickly and efficiently show how to install and use the software. 10 lectures were created for the short course. Through the lectures, students learn about the three modules, why they are important, how the iFAB suite addresses them, and how to use the iFAB suite to analyze the modules in an industrial setting. Fig. 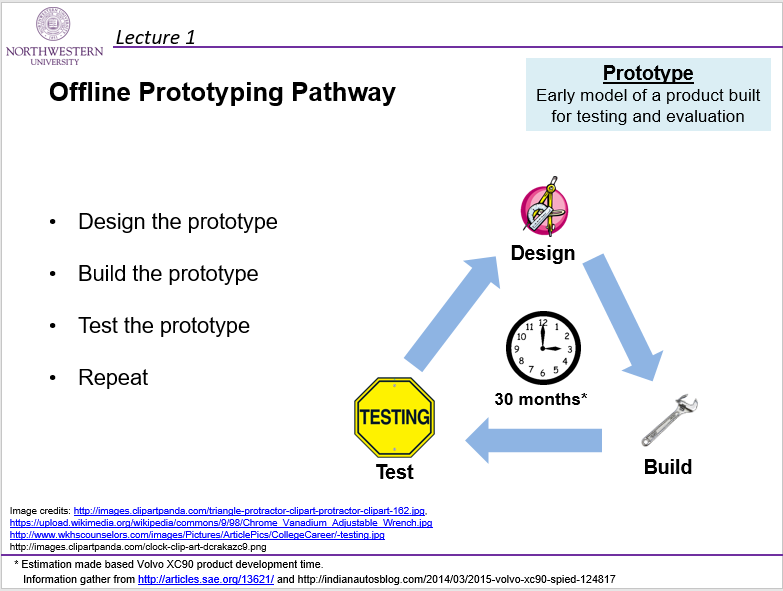 2: Example of a slide describing the traditional prototyping pathway in a lecture on cost analysis. Fig. 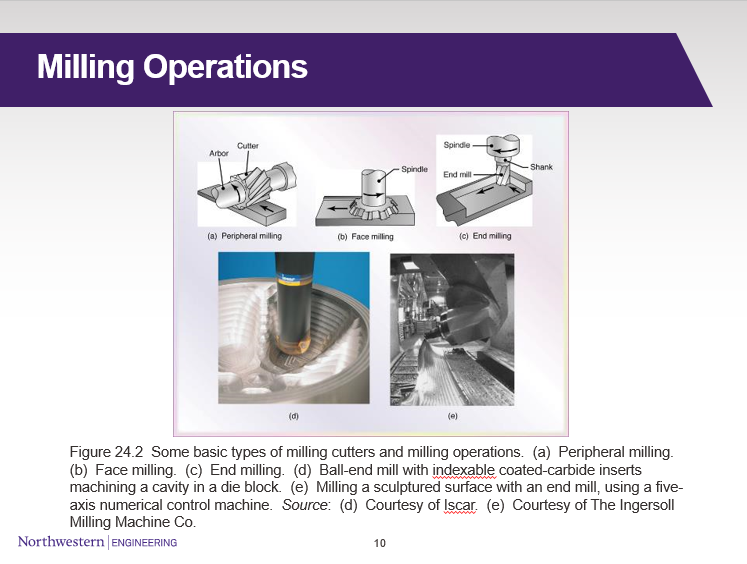 3: Sample slide from a lecture on manufacturability.